We make it easy for you to initiate contact with only advisors that may be a match to your needs. 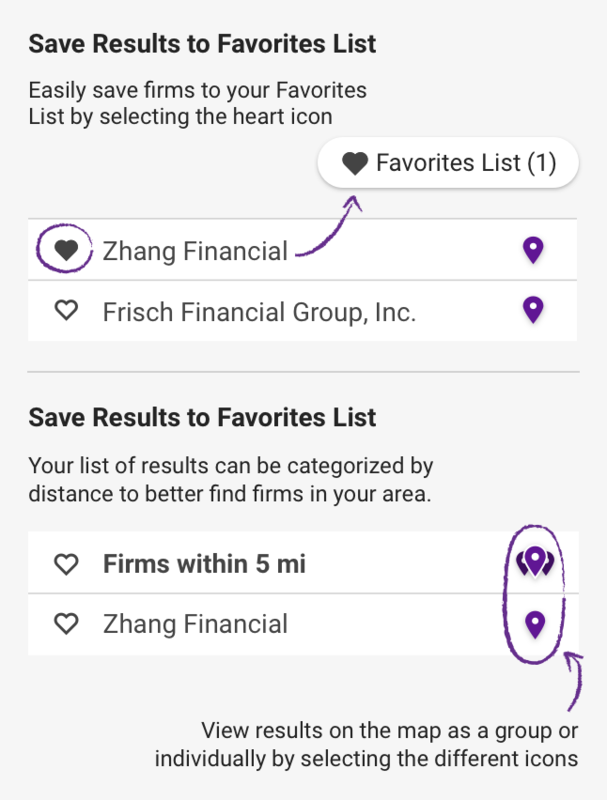 Save advisors to your favorites and then send them your contact preferences and details about your financial planning needs in just a few clicks. You can even send your list to your printer or email. 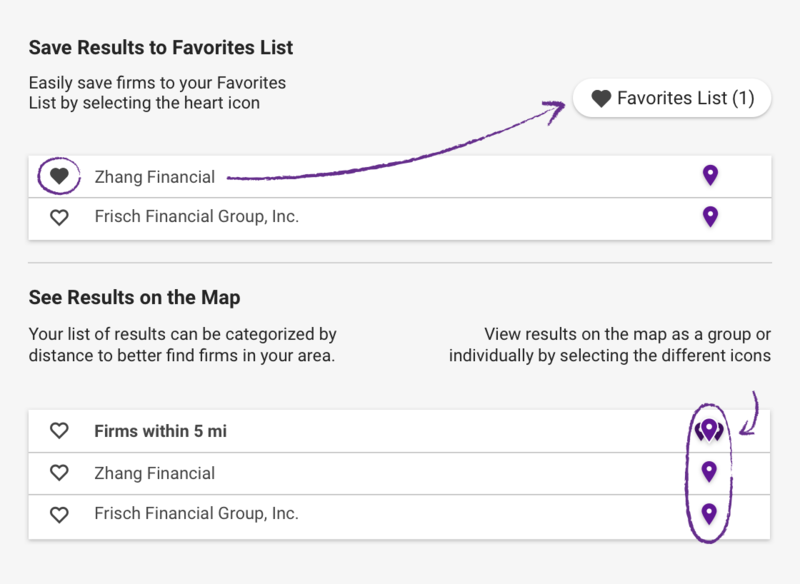 Add Firms to your list by checking the box next to firms in the search results listing or tapping the button on a firm profile or advisor profile page. 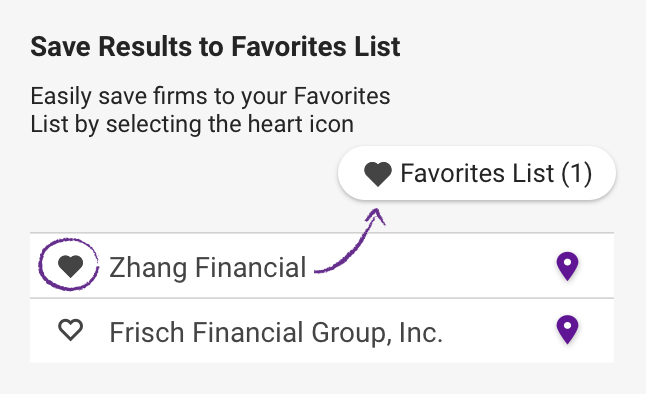 Why Create a Favorites List? Email the list to yourself and others. Have firms follow up with you directly by allowing your name and contact information to be released. Please enter your contact information and indicate the method of contact you would like firms to use. Your information will only be provided to the firms you select. How did you hear about NAPFA? Showing 0 results for "84653"